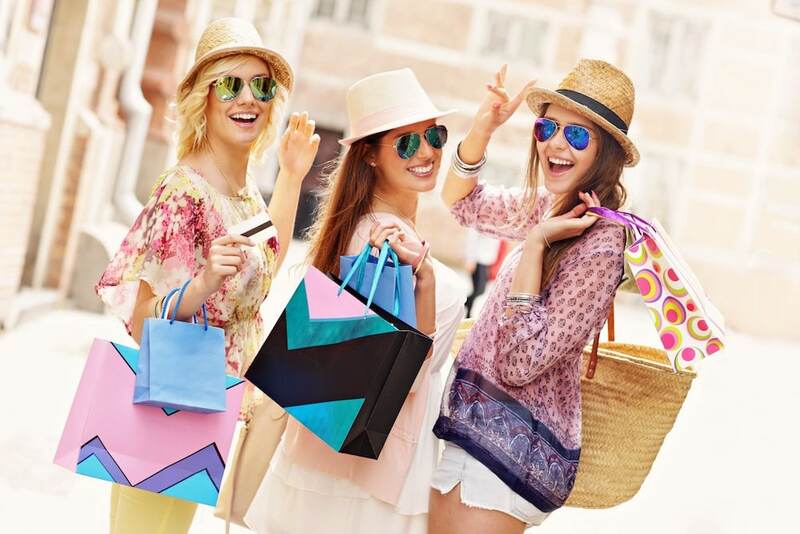 Shopping is an exciting endeavor provided you’re able to get all that intrigues you without spending unnecessarily. Shoppers, unfortunately, are tempted to spend extra on flashy but trivial items after purchasing the items they came shopping for. In other words, without help, it is possible to have an intense shopping spree that will push you to spend unreasonably and regrettably. In a bid to save you the headache of pumping all your hard-earned bucks into wants rather than needs, here are clever ways to save money when shopping online or in stores. Having a shopping list is certainly one of the most cost-effective tips for those who shop frequently. Your shopping list should contain only the items you wish to buy. Provided you can stick to this, you won’t be tempted to over-spend or buy anything you never wished to buy before setting out of your home. Perhaps many of the shopaholics who get the best deals are expert hagglers. If you’re keen to spend less while shopping, nothing should push you away from beating down the prices of the various items you wish to buy. Some people might find this awkward to do but if you think a certain item isn’t really worth the price stipulated by its seller, it’s a nice suggestion that you haggle with the seller. Regular online shoppers who frequently browse for cheap deals are more likely to succeed in saving a lot of money while shopping. Quite frankly, some of your favorite brands employ reachable online platforms like Sello to communicate the latest shopping deals to customers. You can explore their available shopping deals and decide which is suitable for you. If there are items you can make on your own, then you can save yourself the need to spend much money by simply crafting out those things without reaching for the nearby retail store. Perhaps you wish to have shorts and by using your nice old jeans, you could create an exciting pair of shorts that would seem exactly like the one in the retail store. What’s keeping you back? Save money shopping by improvising creatively. The price of a certain item tends to rise during the period(s) of intense demand for that item. If, for instance, you wish to get some decent coats for yourself, it’s a nice idea that you make your purchase during the summer when the price is likely to be fairly lower. While this idea of buying in advance is reasonable, you still have to avoid buying items whose style will probably run out of vogue in the coming year. The presence of reputable thrift stores within your neighborhood gives the opportunity to save a decent amount of money by favoring used items above the new ones. Also, you can take advantage of Etsy, eBay, Craigslist and several other e-commerce sites in getting affordable deals on used items. You should be mindful of the people with whom you spend your shopping time with. While some people’s financial standing permits them to buy lots of fancy wants, you need to take your pocket into consideration before deciding to keep the company of this category of shoppers. So, do well enough to shop only with those who can caution you about spending wisely. Obviously, some items you never planned to buy can wow you and persuade you to drain your pocket. If conceivably, you doubt your need for such items after picking them from a shelf, it’s advisable that you drop them and move on to other items or simply find your way out of the shopping floor. This way, you can be sure you’ve saved some bucks rather than expending them on needless items. If care isn’t taken, the sight of fashionable clothing items will cause you to spend beyond reasoning. At times, it’s a nice idea that you choose simple and cheap clothing items which you can easily spice up with accessories at a later time. There is a likelihood that you won’t wear some of the clothing items you’re buying very often. Meanwhile, buying basic clothes can offer you the chance to spend less now and stuff them with accessories if the need arises later. Provided you have a guardian, parent or partner with good financial standing, this could be the opportunity for you to discuss sharing expenses with them. If you’re willing to purchase something that’s slightly expensive for you alone to pay for, you could talk to your partner, mother or father and see if they will agree to shoulder half of the expenditure. Sometimes, shopping malls offer items so cheap that you might think such items command no value whatsoever. Verily, the point about these items isn’t in their cheapness but the fact that you don’t need them. Since your personal flair or a certain other circumstance clarifies that you won’t need or use such items, try as much as possible to avoid buying them. When you stumble on the desired item with an affordable price tag, don’t ever assume that’s the cheapest you can get for that item. Do well to check out the price tags offered by several other merchants, retailers or wholesalers of that same item. There are a lot of buying and selling apps that offer this functionality. Keeping the exact amount of cash you need is one of the smartest ways to save money while shopping. It is difficult to spend funds you don’t have on you and provided you aren’t keeping more than enough to purchase the items you need, it is very unlikely to have a rush shopping spree.